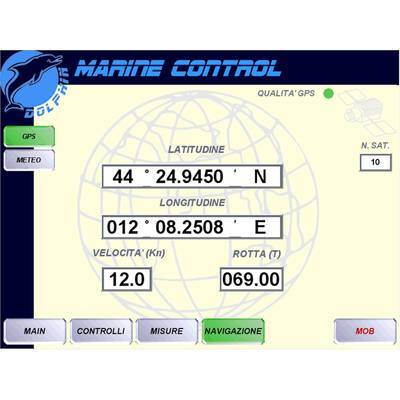 Instant and accurate man overboard location is just one of many features that SCADA technology is offering to transform the safety and comfort of pleasure sailing. Products4Automation’s SCADA expert Paul Hurst examines the technology transfer from industrial process plant to luxury yacht. Fifty years ago, people were saying that automotive technology had reached maturity and could not be developed much further, but time has told a very different story. By embracing complementary new technologies and working on constant incremental improvements, automotive engineers have long since left the Morris Traveller and Ford Anglia behind. 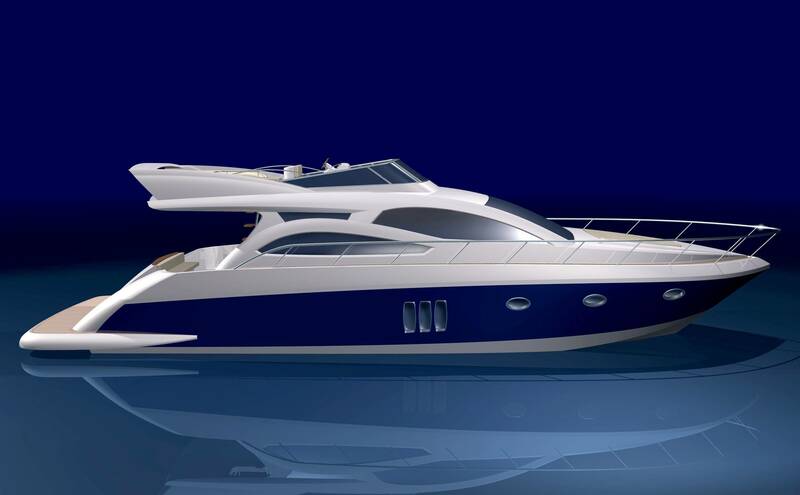 Now MR Automation is doing the same with marine technology – moving the concept of a pleasure craft on from a simple ‘hull and engine’ to a super yacht bristling with luxury and with a control system that encompasses engine management, navigation and GPS positioning, meteorology, and cabin comfort systems. 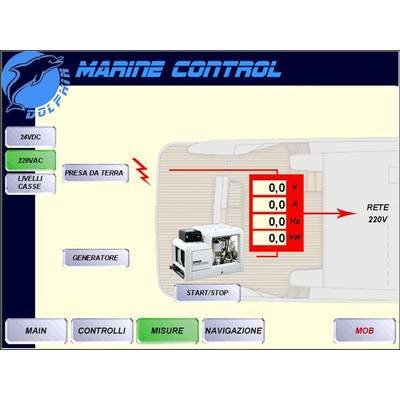 Based in Ravenna, on Italy’s Adriatic coast about 100km south of Venice, MR Automation has its roots in SCADA technology, originally applying it to offshore platforms, then the specialist vessels that support them. 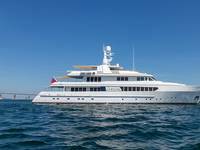 Moving on through other types of commercial shipping, it is now introducing the latest developments in SCADA technology to the world of yachts and super yachts. SCADA development has reached a point where HMI (human machine interface) screens are high resolution and offer full-spectrum color, rapid loading and refreshing, graphics, photographic images and videos. 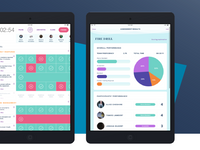 It is also able to collect enormous amounts of data and process it in real time to provide up to the minute information on whatever it is monitoring. Today’s SCADA easily interfaces with the internet and other third-party systems to collect information such as weather reports, sea charts and – for those not wanting to switch off from work - stock market prices. 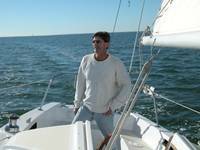 Yacht owners demand such qualities, so that navigation and boat control are as easy as possible, and that while they are physically away from their day to day lives they are not cut off from important information and personal communications. MR Automation has embraced Movicon’s ever-developing SCADA technology to create Dolphin and provide the functionality, performances and flexibility required on modern yachts and super yachts. The system involves an entirely PC-based command and control architecture and is based on completely standard equipment readily available in the automation market. 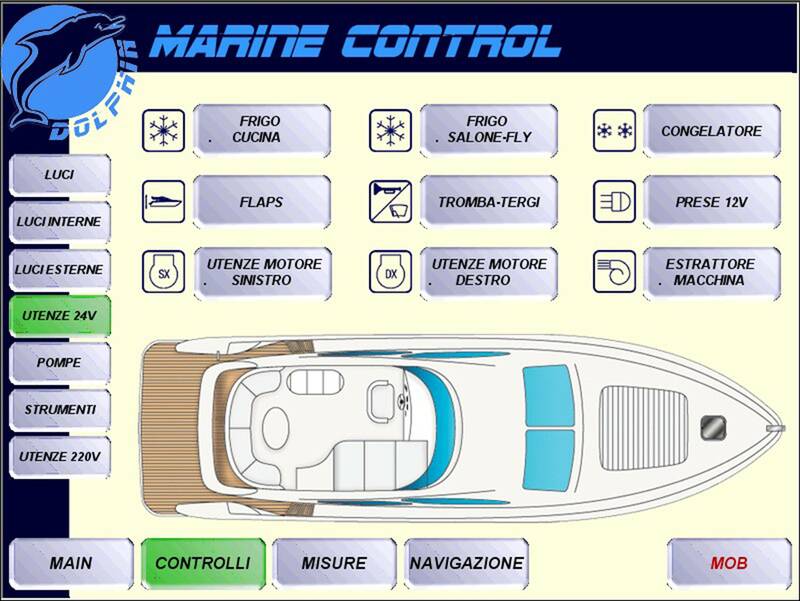 Presenting the yacht’s captain and crew with TFT (thin film transistor) touch screens on the bridge at other convenient points, plus handheld PDAs, Dolphin is based on a Windows operating system. The onboard equipment the system controls is connected via a Modbus network. In addition, the HMIs can connect to meteorology broadcasts, GPS satellites, the internet etc. All information is controlled by the embedded software system, so that users simply have to touch the screen to access all information. 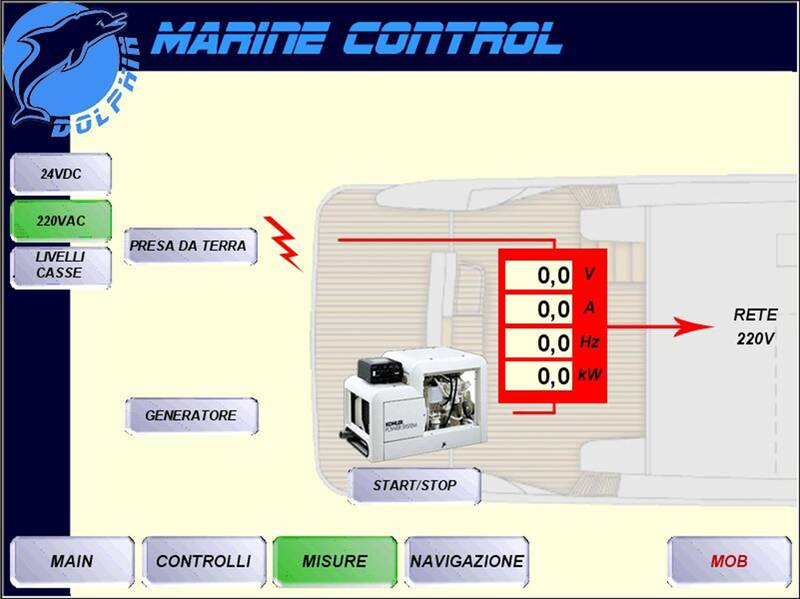 As well as vital operational, navigational and weather information, Dolphin uses the Movicon SCADA for less dramatic – but equally important - functions, such lighting control, air-conditioning, pumps, engine management, electrical systems, fuel, fresh and bilge tank levels, anchor and mooring monitoring, and fridge/freezer temperature. 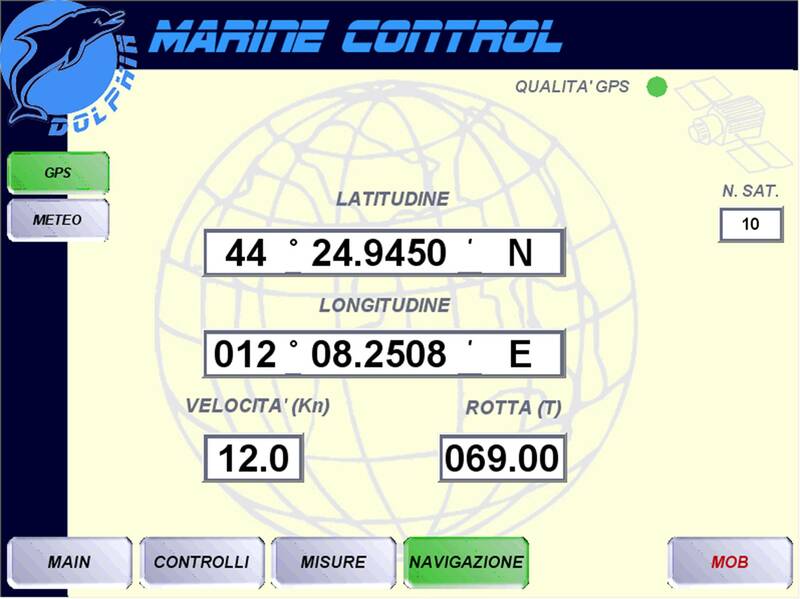 Significantly it constantly updates the yacht’s GPS co-ordinates and will log and lock onto these if the ‘man over board’ alarm is activated. MR Automation has met its goal of using Movicon’s massive abilities to provide full control of every aspect of a pleasure yacht in a way that is completely intuitive and user friendly so that it requires little, if any, training. Further it has achieved its benchmark of being easy to use not only in relaxed everyday use, but also in bad weather and adrenaline-pumping critical and emergency situations. Dolphin also makes use of Movicon’s data logging capabilities, so that maintenance and servicing can be scheduled and captains can do post voyage reviews. The embedded password system can be used to restrict access to critical functions and confidential information to authorized persons only. 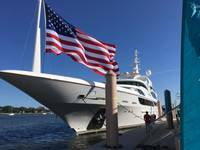 Given that many super yacht owners are people who need high levels of personal protection, Dolphin can be used to maintain contact with security personnel and coast guards. The same features can be used to ensure the safety and security of the craft when it is not in use, is in transit or on charter. 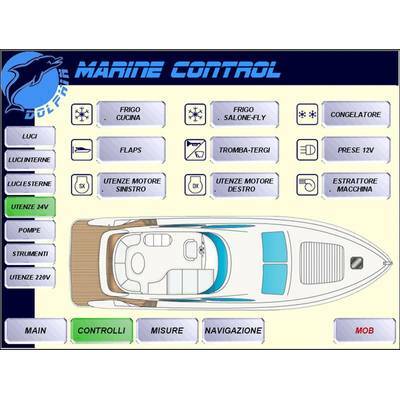 Using Windows, Dolphin can be installed on PocketPCs, so that all information pertaining to the yacht is instantly and constantly available to the owner and other authorized people, including camera feeds and position locations, wherever they are. MR Automation has taken Dolphin through design, prototyping and beta testing and has started volume production with a yacht builder on the Adriatic Riviera. 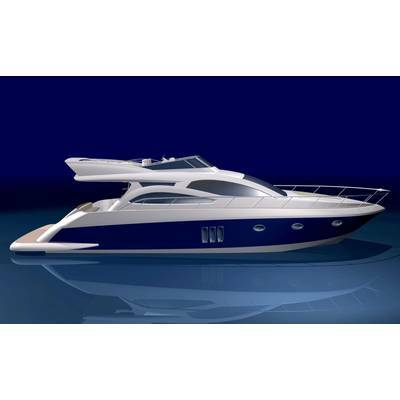 Few, if any, users equate the system, vital to the safety and ambience of luxury pleasure sailing, with the control of industrial plant and equipment. Further it will encourage constant development of marine technology so that each new generation of yacht and super yacht will be better than the last.